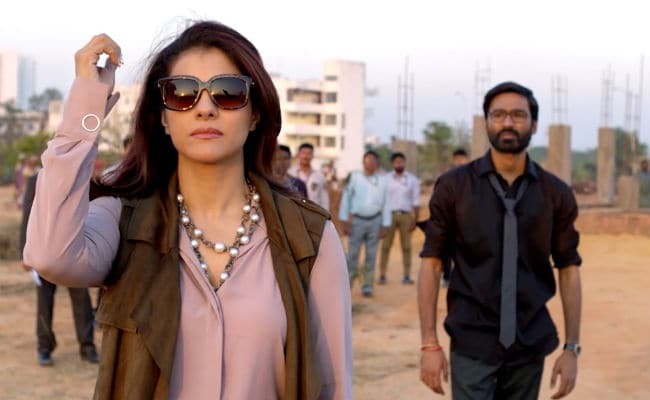 VIP 2: Lalkar Movie Review - It banks entirely on the star power of Dhanush and the novelty of Kajol, assuming the persona of a formidable foe. 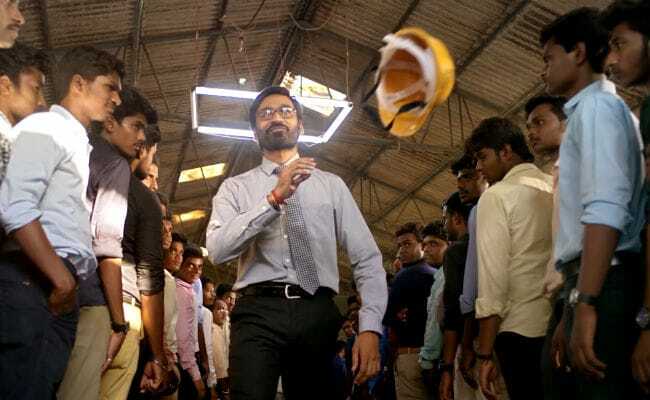 It is probable that crucial bits of VIP 2: Lalkar, the Hindi-language avatar of the follow-up to the 2014 Tamil hit Vellaiilla Pattadhari, have been lost in translation. Even if that weren't the case, there wouldn't be much to ferret out, in terms of substance, from the Soundarya Rajinikanth-directed comedy-drama about a young, upright engineer who takes on a ruthless real estate czarina. Nothing wrong per se with that plot outline. It's just the breathless, slapdash manner in which the potboiler pans out that renders large swathes of the film utterly disorienting. For the most part, VIP 2 is like a rudderless ship caught in a raging storm. The ear-splitting background score, a veritable gale force by itself, has the impact of howling winds. Vellaillai Pattadhari translates as 'unemployed graduate'. In Hindi, abbreviation stands for 'Vella Important Person', which, for the principal antagonist who can't stand the sight of her bete noire, becomes 'Vella Idiotic Person'. As is pretty obvious, the wordplay is unapologetically rudimentary. VIP 2 isn't set in Mumbai, yet references to Andheri and Vashi creep into exchanges between two of its characters, locational veracity be damned. Semantic subtlety certainly isn't the strong suit here. Although its intention is to be rooted in the real world, the film takes massive liberties with logic and psychological conformity. Its characters are etched via very broad strokes and the situations they encounter abound in inconsistencies. The laboured attempts to deliver comic relief, too, fall flat. VIP 2 banks entirely on the star power of lead actor Dhanush and the novelty of a semi-retired Kajol assuming the persona of a formidable foe. The two actors plunge headlong into their roles and redefine 'power-packed performance'. They deliver a surfeit of both power and performance but ignore the need to make sense. Raghuvaran runs afoul of Vasundhara Parmeshwaran (Kajol in her first Tamil film after 1997's Minsara Kanavu), a super-successful, obnoxiously standoffish construction industry captain, when he spurns a job offer from her company. In true mass hero style, Raghuvaran declares that he'd rather be a cat's head than a tiger's tail (meaning that he aspires to launch a small company of his own with the aid of a thousand out-of-work engineers with whom he has already pulled off a slum clearance project and earned a name for himself). But the lady he antagonizes has other ideas. She puts enormous hurdles in his way. How Raghuvaran gets around them forms the crux of the story. The first half of the film is easy to describe: screechy and slovenly. The second half is much less so. It never, however, manages to shrug off the torpor of a storyline that revels in irrational detours. Especially difficult to understand is Raghuvaran's many transformations. He goes back and forth between being an average middle class boy who communicates with his dead mother when he is down and a rough-and-ready street fighter, a one-man demolition squad. And, unsurprisingly, he can also break into song and dance, in a hard hat or otherwise, on sundry construction sites when he finds himself within striking distance of a career breakthrough. Vasundhara isn't the only one that Raghuvaran has to contend with. In the second half, another antagonist, Prakash (Saravana Subbiah), surfaces and gives the new-fangled VIP Constructions its first project, a theme park. But Raghuvaran quickly figures out that the land is in a marshy disaster zone. He turns against his client. Another enemy, another story, and more of the same. As a posse of policemen escorts him away from a protest site, one of Raghuvaran's associates claims that he is accustomed to trouble because his "wife is trouble and trouble is his wife". The film is replete with sexist jibes such as these despite the fact that, by the end, the male protagonist emerges as a champion of gender equality. Vasundhara, on her part, never stops preening at the power she wields in a man's world. It takes a deluge to change her outlook. Stranded in her office with Raghuvaran as torrential rain lashes the city and turns it into a waterworld, she receives a lecture from the man on how and why disaster is a great leveller: no matter who you are, a Merc owner or a moped rider, natural calamities spare nobody. This scene plays out as Vasundhara sips champagne and Raghuvaran harangues her on the redundancy of the class divide. This enlightening and course-changing conversation, like the rest of VIP 2, is meant to be taken with a fistful of salt. But do brace yourself for another onslaught some time soon. The film drops enough hints in its closing moments that we aren't done with Raghuvaran yet. Let's hope that Kajol for one has had enough of this jarring battle of the sexes.